OTTAWA -- The call of the wild is echoing through Tuesday's federal budget, which some environmental groups are calling a "game changer" for nature conservation across Canada. The Liberals have earmarked $1.3 billion over five years to expand protected areas and help endangered and threatened species -- a move that reflects its pledge to safeguard at least 17 per cent of Canada's land and inland waters by 2020. "Canada is one of the most beautiful places on Earth," Finance Minister Bill Morneau said in his budget speech to the House of Commons. "It's up to all of us to help keep it that way." The budget commits $500 million to a nature fund aimed at protecting sensitive ecosystems, expanding species protection and helping Indigenous groups play a role in conservation efforts. The initiative is expected to leverage an additional $500 million from the private sector and other levels of government. Expanded measures to include Indigenous Peoples in the creation and management of protected areas is encouraging, said Valerie Courtois, director of the Indigenous Leadership Initiative. She pointed to the leadership role Indigenous governments have played in the creation of protected areas across the country, from Gwaii Haanas National Park Reserve off British Columbia's northern coast to the Torngat Mountains National Park in Labrador. Graham Saul, head of Nature Canada, described the conservation measures as a billion-dollar breakthrough. "This budget is a game-changer," Saul said. "We think that Canada's wildlife would also applaud." The Nature Conservancy of Canada welcomed the new measures, as did the Canadian Parks and Wilderness Society. Steve Cornish, CEO of the David Suzuki Foundation, described the funding as urgently needed to address Canada's biodiversity crisis. "It's great to see money for protected areas and species at risk," Cornish said. "This budget recognizes that nature is an important part of the Canadian identity." While the government has received widespread praise for its conservation measures, some critics have raised concerns about an absence of funding for fighting climate change. Greenpeace Canada's Mike Hudema said it is worrisome that the government is not proposing new measures to break the country's "fossil fuel addiction" and speed the transition a renewable-energy economy. Green party Leader Elizabeth May called the government irresponsible for failing to act on what she described as a climate crisis, deriding the Liberals for pushing back plans to implement their carbon-pricing system until the beginning of 2019. The budget references the government's plan to price carbon pollution, which will be imposed on any province and territory that fails to bring in an equivalent system before the end of the year. Any money collected from the federal price on carbon pollution will go back to the province or territory where it was collected, and the budget promises $109 million over the next five years to help Environment Canada and the Canada Revenue Agency enforce that pledge. 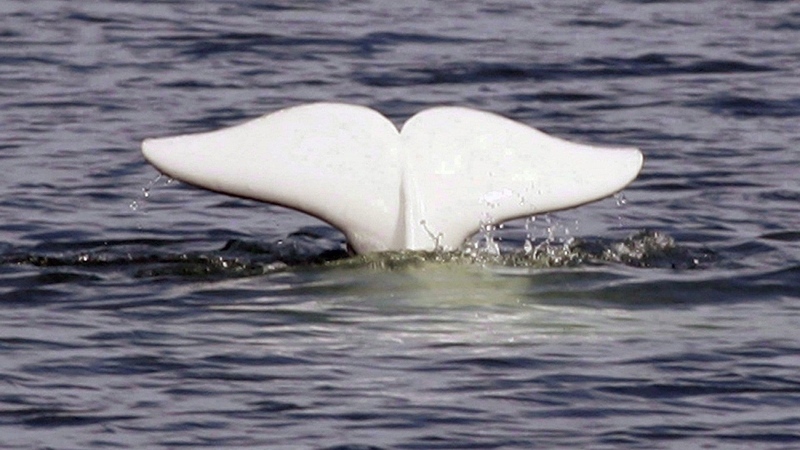 An additional $167 million over five years will go toward the research and preservation of endangered whale species, including southern resident orcas, North Atlantic right whales and belugas in the St. Lawrence estuary. May dismissed the initiative as well intentioned but misguided. "The horrific reality of conservation of nature in 2018 is, you can draw a line around something and the species inside that line will still die if the climate changes under them," she said. "If we barrel ahead with things like Kinder Morgan pipeline and an increase in tanker traffic, that will be the end of the southern resident killer whale," she added. Canada's forecasting and severe weather warning systems will also see $40 million over the next five years as part of the government's move to buttress the country against an expected jump in extreme weather as a result of climate change.